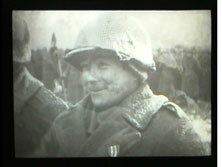 This DVD about the 442nd Infantry Regiment takes place in World War II Europe during the Fall of 1944. On September 29th, 1944 the 442nd Infantry Regiment, also known as the "Nisei" or "Go for Broke", were landing in the port of Marseille, France to be attached to the 36th Infantry Division of VI Corps, U.S. 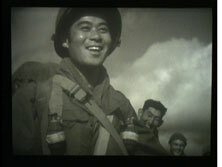 Seventh Army. Our Series II DVD, Liberation of Western Europe begins here and continues through to mid-November 1944, as the Regiment pushes toward St. Die. 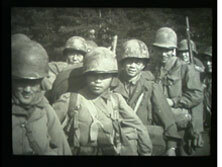 The contents of this video show the action as was recorded by the 163rd Signal Photo Company, during these historic operations. 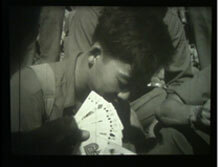 The footage in this video is intended to be strictly that of the 442nd Infantry Regiment, and only shows other unit footage when two or more units are intertwined. Combat Reels has researched and compiled all of this raw combat film footage, then reformatted it into the DVD format for your viewing pleasure. 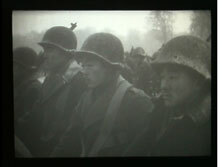 Great for veterans, families, military historians and military enthusiasts, this DVD has many different scenes of 442nd Infantry Regiment soldiers. 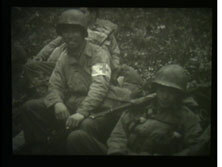 The first clips show the men of the 442nd arriving in Southern France. Next troops rest near Charmois before they are loaded up and moved to attack Bruyères. 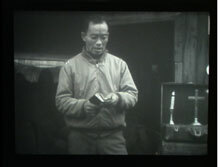 Enjoy scenes that cover religious services and memorial ceremonies in the field. 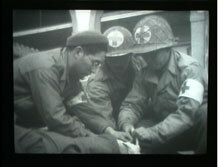 Watch the operations of the 2nd Bn Aid Station as they deal with seriously wounded men from the relief attempts of the "Lost Battalion". 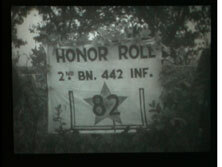 Follow the 442nd as they meet up with the 1st Bn., 141st Inf. Reg. and finally relive them in the Forêt Domaniale de Champ. The series closes out with images of life for the 442nd in the field followed by a mortar squad firing near St Die, France. 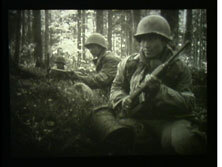 Enjoy these close up shots of the actual locations the 442nd Infantry Regiment fought for and occupied. Examine as well the equipment, vehicles, weapons, uniforms, helmet markings, and of the faces of the men themselves on these candid reels of history.